Cancun, noted for its spring break fiesta feel and famed nightlife now has another option for those seeking a great evening out on the town. 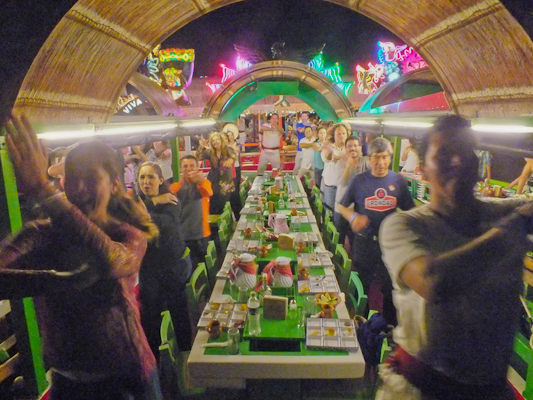 A night inclusive of dinner, dancing and drinking coupled with the opportunity to learn about the culture and history of Mexico. 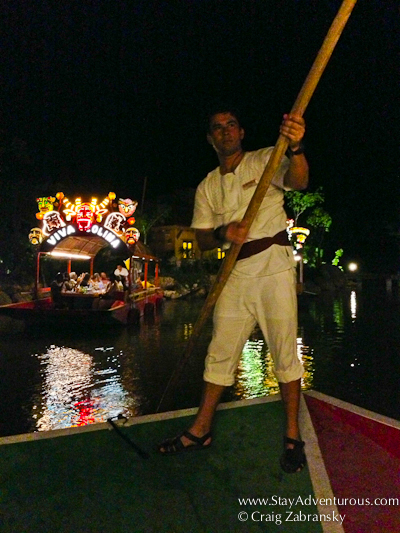 Yes, a night at Xoximilco, a theme park in Cancun. At Xoximilco, located just outside the hotel zone of Cancun, over thirty boats fill the docks and prepare to host a party nightly on the water. The boats, each named for a state in Mexico, provide passage to a feel-good adventure on the water. 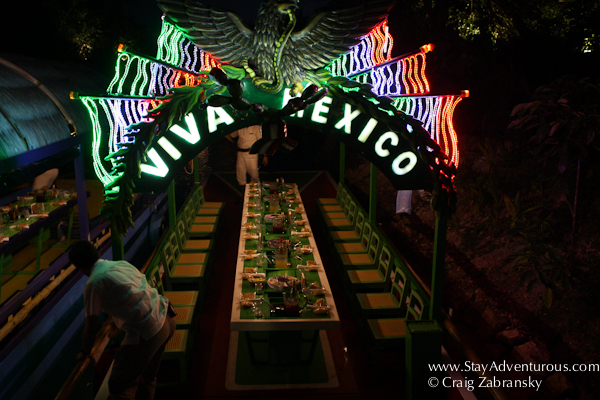 Xoximilco is a copy of the original canal based neighborhood of Mexico City called Xochimilco. In Mexico City boats of Mariachi entertain as vendors sell items to visitors taking a cruise along the historic lake canals. 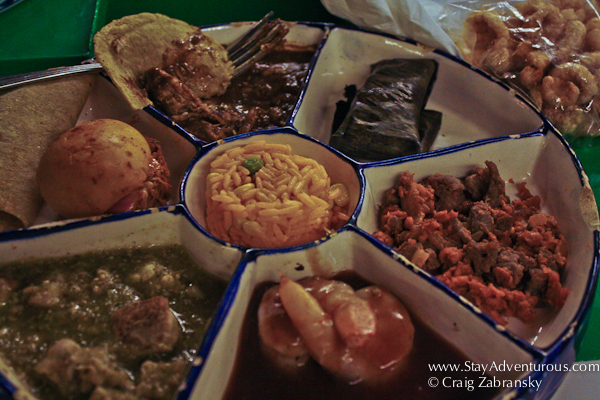 In Cancun, they mirrored (and enhanced) the experience by making a journey filled with quality food (3 meals), Mexican drinks, (all you drink) and a look into the culture of Mexico.
! Bienvenido a Xoximilco ! What Can I Expect at Xoximilco? 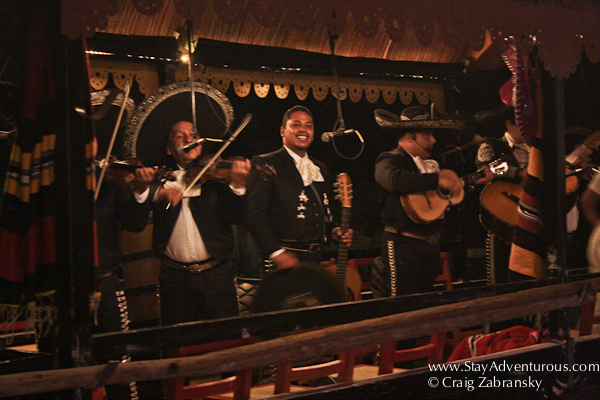 At one turn you are dancing on the boat, at another listening to Mariachi or Banda. Then at another turn you learn about Mexico’s past and then find yourself playing the popular (and slightly crazy) electric shock game of Toques. All this in between pouring drinks and eating three courses. The ride on the water, lasts 3-3 and 1/2 hours and allows for one ten minute break to freshen up (the boats don’t have bathrooms on board). 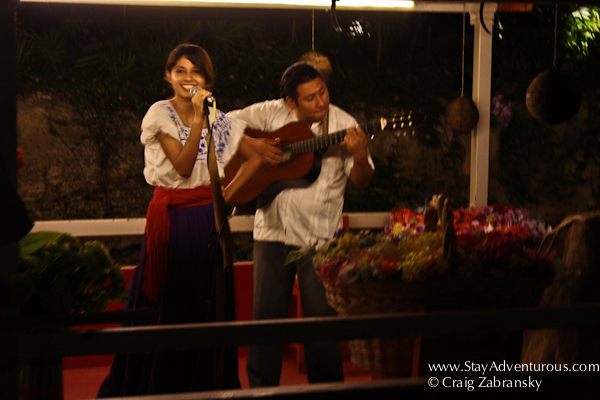 Essentially, you can expect to have fun and have a memorable night out in Cancun. I certainly did. On the water there will be mosquitoes, and although Xoximilco provides bug repellent lotion when you first arrive and also some spray on the boats, long pants and long sleeves are a good option especially if it is not too hot. Bring sensible and comfortable dancing shoes, you will be shaking it up a little on board. Bring your appetite and your open-minded curiosity, as there is plenty of authentic Mexican food to sample and taste from across Mexico and each taste is described. 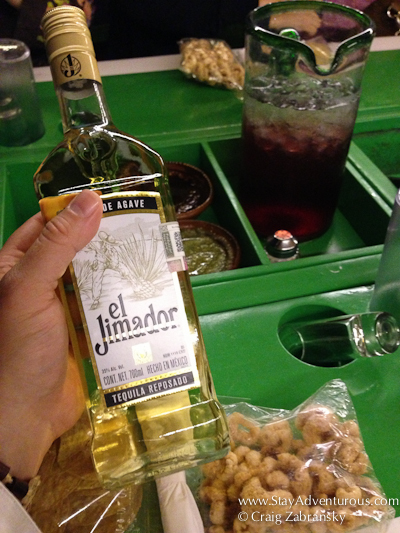 Don’t have an early morning adventure planned for the next day, the tequila and cervezas go down way to easy. ( I made this mistake). Special thanks to Hacienda Tres Rios for taking us out to Xoximilco on a recent FAM for the 4th annual HTR Triathalon. Also, special thanks to Luis Vega, from Expo Triatlón, for allowing me to use his photograph of us dancing, apparently I was too busy showcasing my Macarena knowledge. As always, these opinions are my own. Many years ago I visited Xochimilco, Mexico City and remember how beautiful it was. 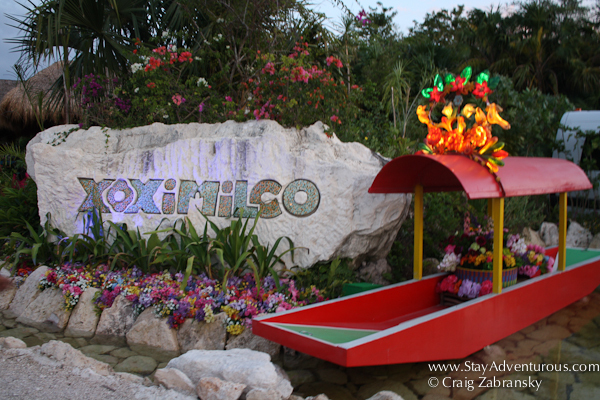 Xoximilco on my bucket list for my next visit to Cancun. Looks like fun. Yes, those early morning excursions the next day are so hard in Mexico. This looks like a good time. I’d love to sample the variety of food. This looks fantastic (especially the all you can drink part, haha)! Good tips too. Love that they supply mosquito repellent too. This party looks like a blast. Music, food, dancing, boats on the water, and tequila sounds like a recipe for great times and slow moving next mornings.